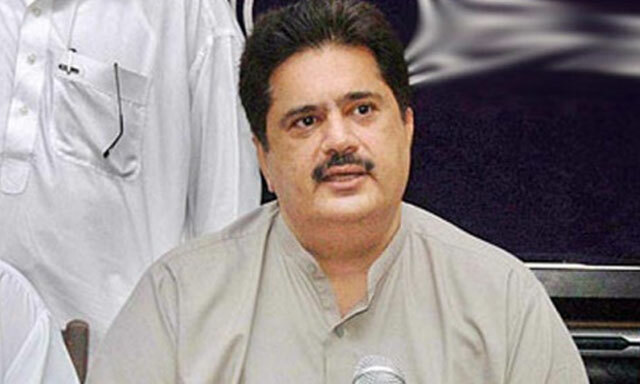 LAHORE: A sessions court on Friday issued a notice to Pakistan People’s Party (PPP) leader Nabil Gabol to appear before the court on November 28 for a hearing of a defamation suit filed by Evacuee Property Trust Board Chairman Siddiqul Farooq against him. Additional District and Session Judge Abdul Ghaffar heard the suit. During the hearing, the plaintiff counsel submitted that the respondent PPP leader had alleged that Siddiqul Farooq had made an offer to the joint investigation team in Panama case for filing a report favourable to former prime minister Muhammad Nawaz Sharif. He said that allegations levelled against the plaintiff were not only false but also defamatory. He pleaded with the court to issue directions to Nabil Gabol for payment of Rs 1 billion in damages for attempting to discredit the plaintiff. At this, the court issued notices to Nabil Gabol for appearance before the court on November 28 and sought a reply from him.